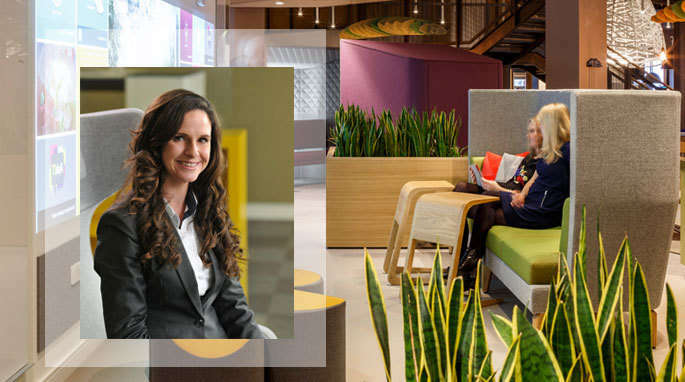 Michele Clifton discusses how you can design your office to promote workplace wellbeing and keep your people healthy and happy. I see wellbeing becoming a mainstream topic, how can I design this into my office? Wellbeing is exactly that: the state of being well – both mentally and physically. Recently, we’ve started to talk more openly about mental health and, slowly, perceptions are changing as wellbeing is being prioritised. In the workplace, this has resulted in a growing acknowledgement that we need to give our staff both wellbeing initiatives and a quality physical workplace. This is why it’s crucial your workplace is designed to facilitate wellbeing and help keep your staff in top condition. Design considerations are based around things like movement and posture, eating habits, and access to fresh air and natural light. Sitting at a desk all day may seem like an easy life but research shows a sedentary lifestyle can promote a number of health issues including heart disease, cancer and diabetes. Sitting at a desk puts twice as much pressure on our backs as standing, so experts suggest having an ergonomic workstation set up as well as moving for one or two minutes every half an hour to stave off the bad effects. 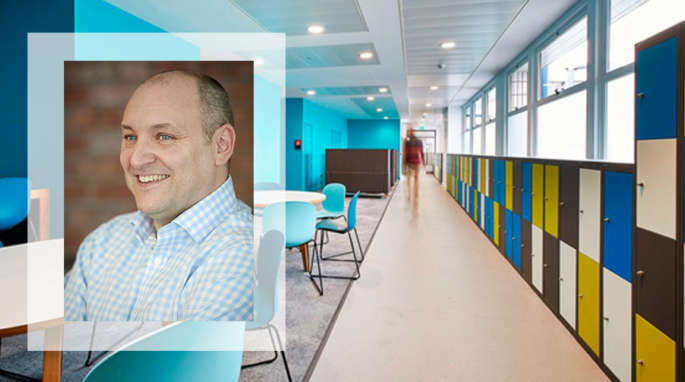 Designing your office to promote movement is incredibly important; from accessible and open stairs to central facilities and services – there are small design cues which can have a big impact on your staff’s physical wellbeing. People forget how important fresh air and natural light is for our physical wellbeing, but without it we are more prone to illness, unable to think as well and less productive. It’s your workplace’s responsibility to ensure the office is well ventilated with sufficient fresh air, but there’s no reason why you can’t take yourself outside throughout the day. 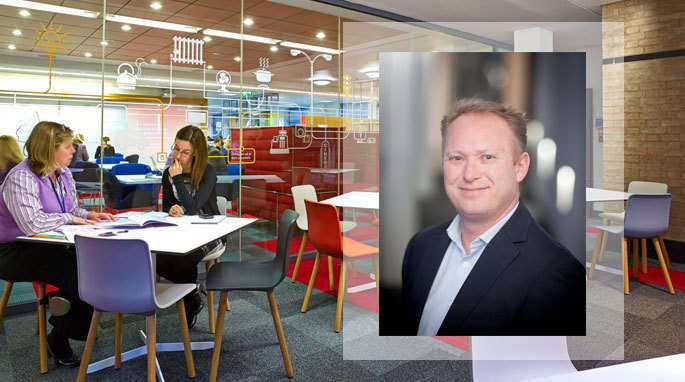 More offices are now being designed with communal areas centred around the windows so everyone can benefit from natural light. So where possible, work or take a break in these areas to get your daily dose of vitamin D! There’s proven health benefits – with natural light exposure being directly correlated to sleep quality. 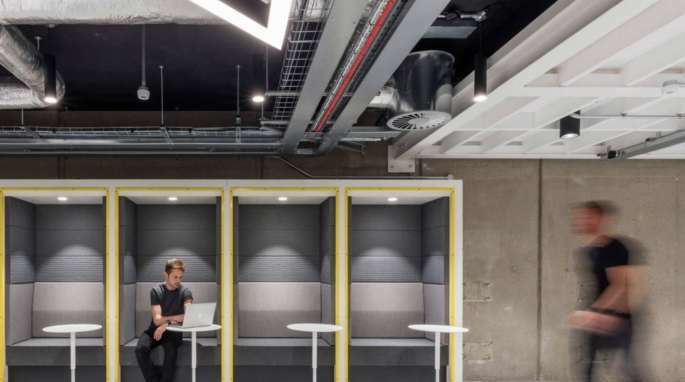 There are a host of small changes you can make to your office design to ensure that you’re helping your staff leave the office feeling better than when they arrived. Landlord Refurbishment: The Date to Update?